Lovely couple of Collared Dove. This lovely couple of Collared Doves is already few years with us. In winter time they are comming every day and waiting on the tree or on the balcony railing. 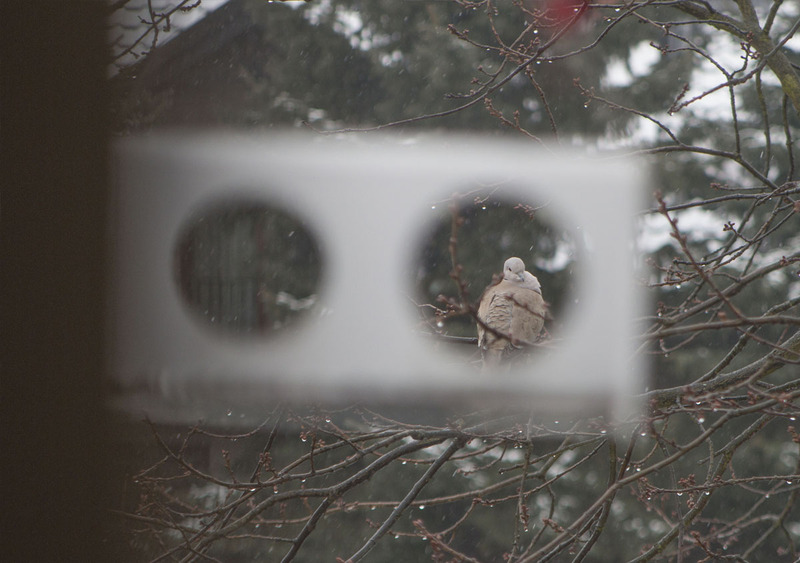 I feeding them on the windowsill under the small birds feeder. 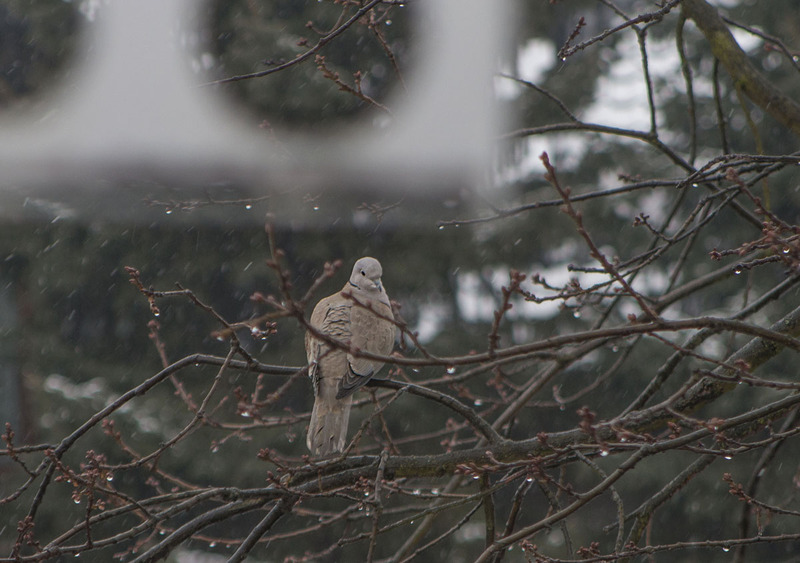 First snow this winter, I hang my bird feeder. Ready for skating or skiing season? Ready for skating or skiing season? Mr Sikorski already is! Gotowi na sezon narciarski lub łyżwiarski? Pan Sikorski jak najbardziej! 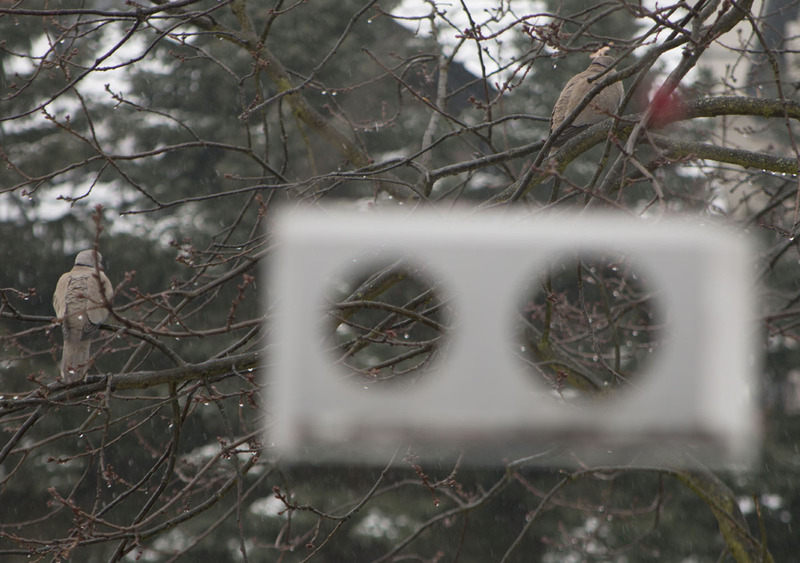 Titmouse in Bauhaus bird feeder.